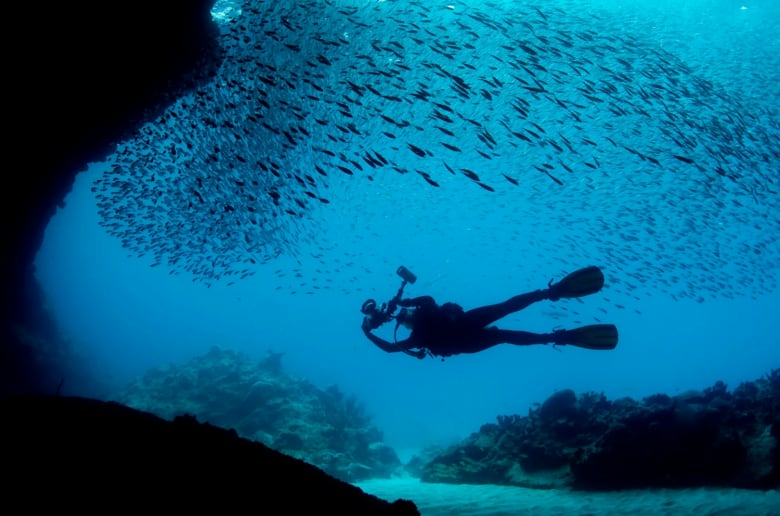 Richard Vevers worked in marketing, but he always had a passion for underwater photography. Now, he's helped to build a specialized camera that allows his organisation, The Ocean Agency, to capture the equivalent of a Google Street View of the ocean. The photos will be used as part of the recently launched 50 Reefs project, in an effort to save the world's dying coral reefs. 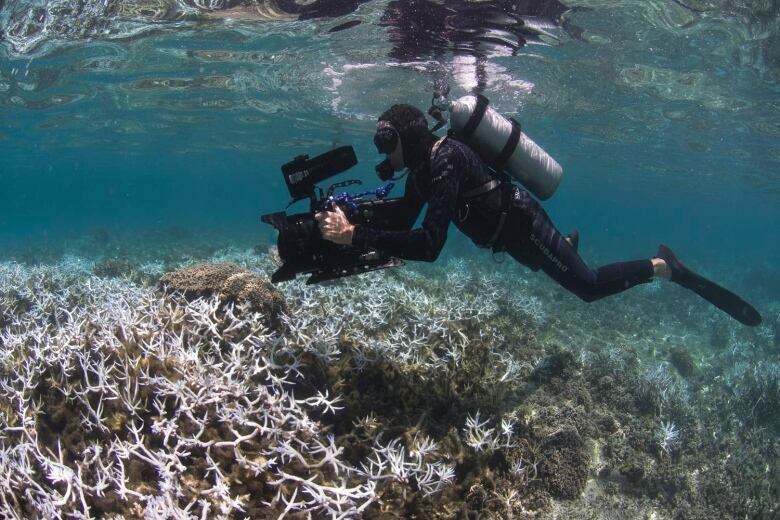 Ninety per cent of the world's coral reefs are expected to be killed off over the next three decades, but as Richard Vevers tells Day 6 host Brent Bambury, communication and underwater photography could help reverse that trend. "We will have a record and we can monitor change over time. Something that was previously very difficult to do at scale," says Vevers, who is the founder and CEO of a non-profit group The Ocean Agency. 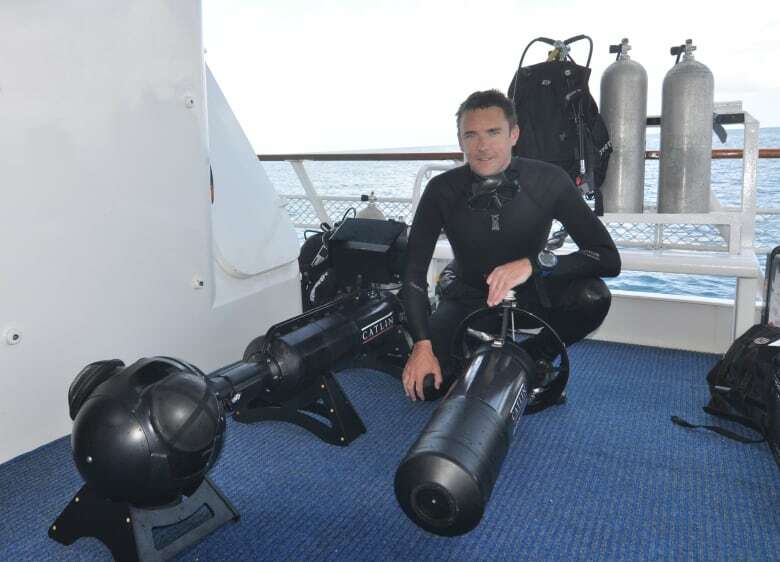 He and his team have developed what amounts to a version of Google Street View for the ocean. Vevers says their images will provide documentation that can be used for science and to raise awareness for the cause. 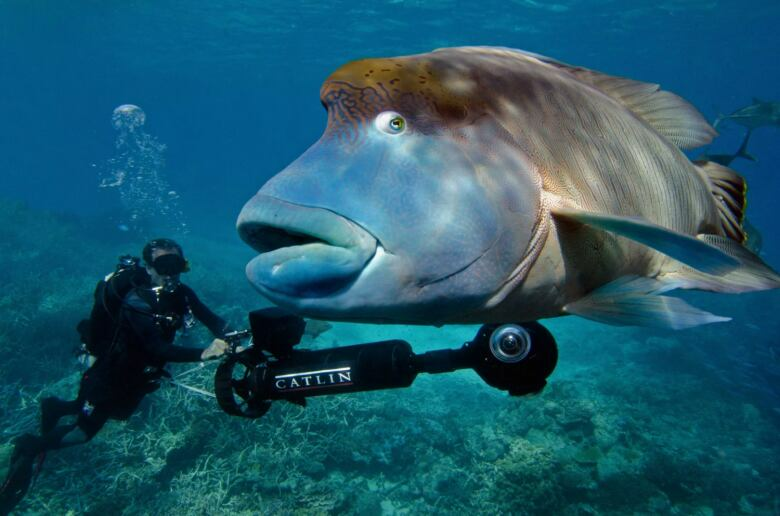 Vevers spent ten years in advertising but after a bad meeting, he gave it up to become an underwater photographer. The Ocean Agency's photos have generated millions of views online. "That gets me excited in terms of the potential for this kind of imagery, to engage people with issues that very few are aware of," Vevers says. Google Street View is a technology featured in Google Maps and Google Earth. It provides panoramic views from positions along many streets in the world. Vevers says his project isn't so different, except he uses a camera connected to a military-grade, underwater scooter to capture his environment instead of a camera mounted on the roof of a car. Vevers says the self-propelled scuba scooter takes some of the burden off the diver in moving along, and they cover two kilometres worth of photography per dive. "The ocean in a very big place, but we are able to get a really good representation of so many different environments in so many different countries using this technology," he says. 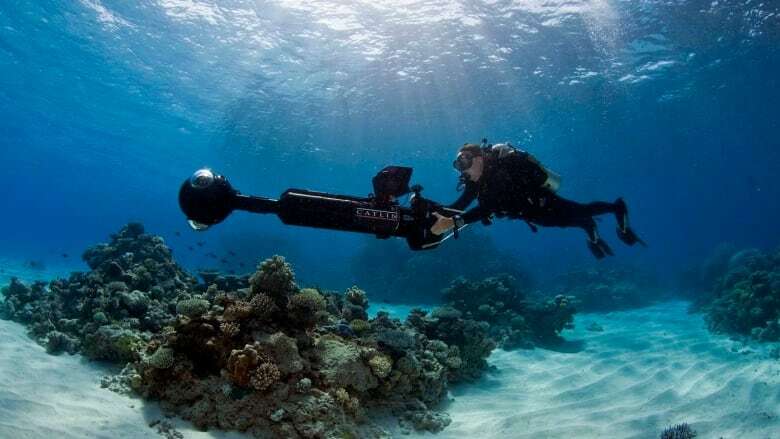 And just like Google cars follow roads, Ocean Agency photographers follow patterns created by the coral reefs, recording images every three seconds as they go along. "Most people don't dive and never will. What I wanted to do with the camera we invented is to allow people to have the experience of jumping into the water, and be able to explore an environment like a coral reef, which to me is the most magical place on the planet," he says. One of The Ocean Agency's main goals is to monitor the reefs for scientific purposes, and the images and technology have the power to draw attention to the issues oceans face. That's how they pitched the idea to Google. "We showed them the kind of imagery that we would be able to get," he says. "Instantly, they were big fans of the project and wanted to make it happen." The underwater images are available to view on Google Earth. Vevers says reefs may be small in size compared to the rest of the ocean, but they're hugely important to the ocean as a whole. "Coral reefs support about 500,000,000 people worldwide as a main source of protein and income. 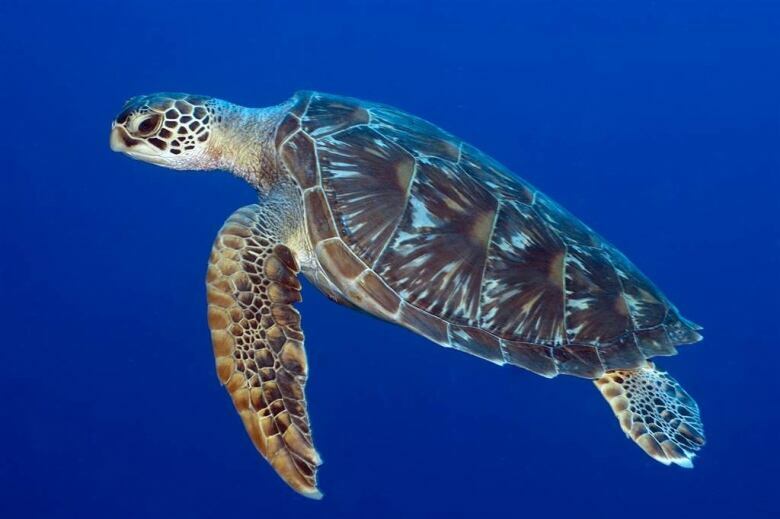 They also support about 25 per cent of all marine species." In late 2016, scientists surveying the Great Barrier Reef said it had suffered the worst coral die-off ever recorded after being bathed in warm waters that bleached and then weakened the coral. That's just one example. Bleaching is happening to reefs across the world. Coral bleaching is a process in which coral colonies lose their colour, which happens when the water is too warm for the microscopic algae living in the organisms. After the last two and a half years of documenting what has become the biggest coral die-off ever recorded, Vevers and his partners launched 50 Reefs. The program aims to save what's left of the world's 50 most important coral reefs. "We saw this happening on a massive scale and wanted to do something about it. We realized there wasn't a global plan to address this issue," he says. "I didn't realize how advanced it was until I started working on the project. Now you realize we've only got a very small window of opportunity to save coral reefs." 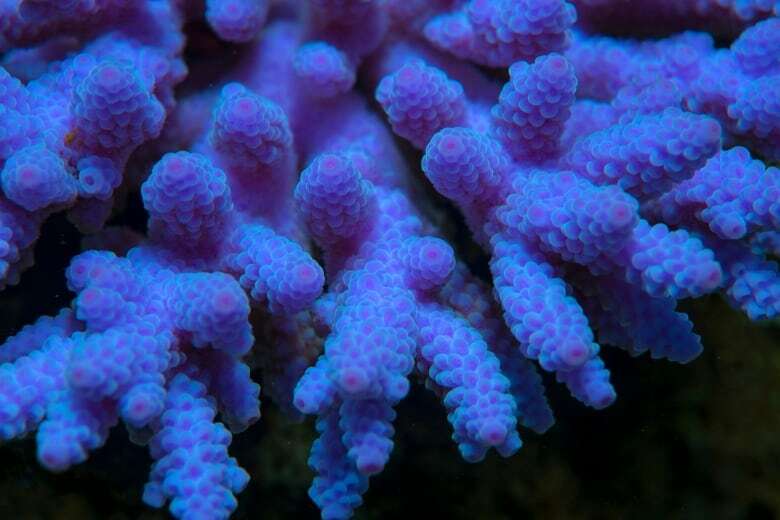 The latest report from the IPCC says that if temperatures increase beyond 1.5 degrees centigrade, approximately 90 per cent of coral will be lost. "We need to find the reefs that we can save," says Vevers, referring to the remaining ten per cent. His photography will help locate the reefs that are least vulnerable to climate change, helping scientists narrow their efforts and resources to the reefs that have the best chance of survival. "We can also work out which part of the reefs are best at re-seeding other parts of the reefs," he says. For survival, location matters. In the 1980s, The Galapagos Islands lost lost 97 percent of its coral in the first of what is now three major bleaching events. The Galapagos is considered extremely vulnerable, whereas reefs near Indonesia remain healthy. 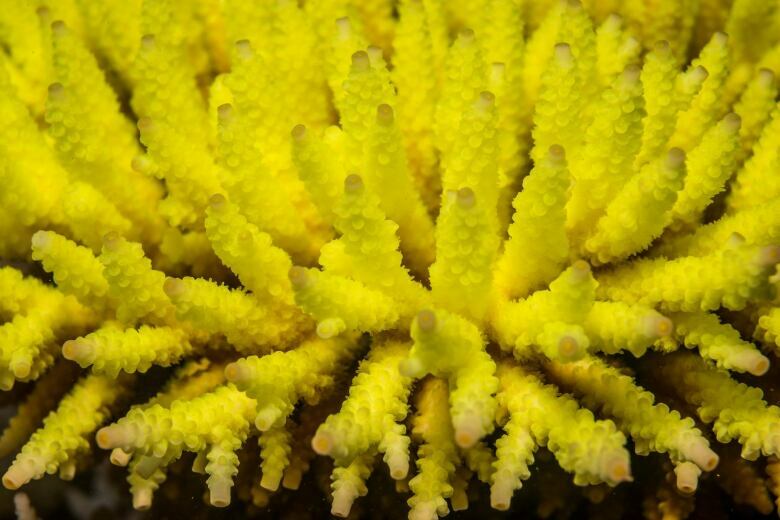 "Even at the height of the big, global bleaching event, it was in pristine condition with amazing coral cover and amazing fish life," Vevers says. While Vevers left advertising in his wake, he says the skills he gained have been instrumental in pulling 50 Reefs together. "Communication is hugely important. Often, a lot of great science gets hidden in papers read by scientists rather than getting out to the media." he says. "What we wanted to do, right at the start of this project, is balance communication with the science. And get that balance right to make sure this news is front page news. And we've had a lot of success over the last few years." To hear Brent Bambury's conversation with Richard Vevers, download our podcast or click the 'Listen' button at the top of this page. Is Kellie Leitch's viral campaign video an epic fail — or a stroke of political genius?